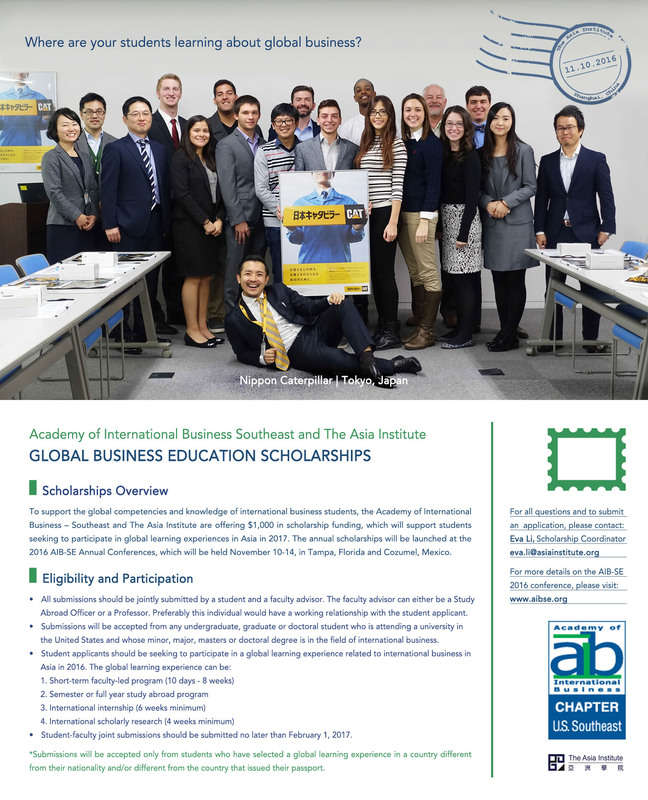 The Academy of International Business U.S. Southeast (AIBSE) and the Asia Institute are proud to announce new joint-scholarships of $1000, which will support the development of global competencies and knowledge for students studying International Business in the United States. The scholarships will be provided to students pursuing global research, internships and study abroad programs in Asia in 2017. The annual scholarships will be launched at the 2016 AIB-SE Annual Conferences, which will be held November 10-14, in Tampa, Florida and Cozumel, Mexico. Please check back for application updates in November 2016. All submissions should be jointly submitted by a student and a faculty advisor. The faculty advisor can either be a Study Abroad Officer or a Professor. Preferably this individual would have a working relationship with the student applicant. 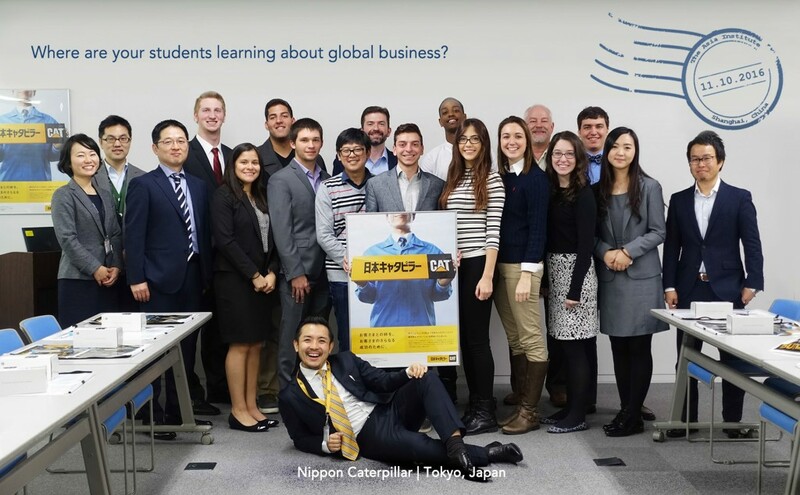 Submissions will be accepted from any undergraduate, graduate or doctoral student who is attending a university in the United States and whose minor, major, masters or doctoral degree is in the field of international business. Student-faculty joint submissions should be submitted no later than February 1, 2017. *Submissions will be accepted only from students who have selected a global learning experience in a country different from their nationality and/or different from the country that issued their passport. If you would like to learn more about the 2015 Scholarship Recipients, please visit here.